Sarai is a fourth grader who is ready to change the world! 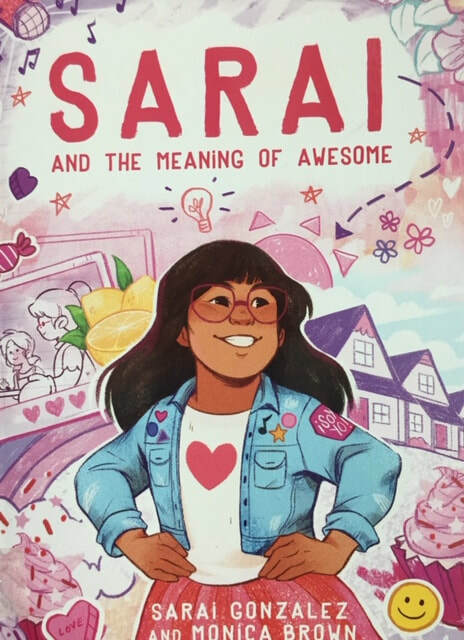 When her grandparents are forced to move, Sarai takes action to raise enough money to help them out - a lemonade stand, a neighborhood cupcake business, and a dance competition entry for a prize worth $1,000 - are a few of her projects. Her younger sisters and her cousins are all in the mix, but will it be enough? See also Sarai In the Spotlight, about finding a new friend and participating in the school talent show. Written by a young social media star, the format is cute and diary-like, with regular illustrations as well as doodles around the borders. The story is a lot more "day in the life" than an arc of self-discovery, but it depicts a young person taking charge and showing a positive attitude.